These days, effective keyword research is an increasingly important skill for digital marketers. Not only do they need to know how to develop a good keyword list for PPC and SEO, but smart content marketers use keyword research to find out what topics they should write about and what phrases they should use while writing. But if you’re reading this, you probably already know how important keyword research is. You’re just here to learn how you might do it better or more effectively. Click on the image above to see an enlarged view. The idea behind this model is that different keywords represent different levels of interest and intent; some search terms are used by people close to a conversion, while others are used by people still in the early stages of research. The model imagines that your desired conversion event is the center of a target. Keywords are categorized by type and arranged by how effective they are at converting. As a rule, it makes sense to invest the most time and money in keywords closer to the bullseye. Only after you have fully maximized the volume from those should you move further out. 1. Brand terms. People who are familiar with your brand already are the easiest of all to convert. In terms of volume, this category of keywords might not produce the most impressions or page views, but they usually will have the best conversion rate (in both paid and natural search). 2. Product terms. This is what your product is or does and what problems it solves. Depending on how diverse your array of products or services is, this list could be huge. People who are searching for these terms are a little further back in the decision cycle, and your cost per action (CPA) on these terms usually will be higher than on brand terms. But you can get only so much volume from brand terms, so eventually you’ll want to start winning with product terms, too. 3. Competitor terms. There was a time earlier in the life of paid search marketing that competitor terms were second only to brand terms for conversion rate and CPA efficiency. However, in recent years, Google has tightened up their quality score requirements; and now it is nearly impossible to find a reasonable cost per click (CPC) on competitor terms. If you have money to spend and are trying to make inroads against a strong competitor, these could be good terms for you. As with competitor terms, Google won’t give you a lot of credit for relevance on these terms, so they will be more expensive to bid on for pay per click (PPC) and harder to win for search engine optimization (SEO). However, if you’re getting all the volume you can out of previous categories, they are worth considering. 5. Complementary product terms. These are things that go with your product, such as “TV stands” if you sell TVs. Basically, they are someone else’s product terms. You might win some marginal conversions with them. 6. Audience terms. This category covers all kinds of other terms that people in your target audience might be searching for. Usually the impression volume on these words is vast, so it can be a tempting category to try. Also, since this category is more aligned with traditional display targeting, which is based on the interests and pastimes of the audience, you might get a lot of suggestions from higher ups about trying these types of words. That’s one reason the target model is so helpful. By understanding that these terms reveal there isn’t much intent on the part of the searcher to discover your product, you won’t be surprised when the terms act like display ads and generate the lowest conversion and highest CPA of all of your words. A seed list is your initial set of keyword ideas. Write down the six keyword categories. Then use a combination of brainstorming and investigation (see below) to fill out the list with keywords, spending the most time on brand and product terms. You want this list to be thorough in terms of capturing all the things your product does and the problems it solves, but you don’t need to be exhaustive in coming up with synonyms, etc. That will happen in the next step. 1. Research your audience. What terms does your audience use to describe your products or services? What other relevant terms do they use in their day-to-day lives? Look at blog posts and comments, forums, LinkedIn groups, and your own support requests. 2. Find the search terms in use now. Use your analytics tool, Google Webmaster tools, and your weblogs to see what search terms people are using to get to you. If you have access to data on your internal site search, look at those terms to see what people are looking for. 3. Get some suggestions. Soovie is a tool that lets you enter a keyword and see what the top autocompletes are for a number of different search engines and other sites. It’s not worth running every keyword through Soovie, but you might try a couple to see if you missed anything. 4. Check out the competition. Tools such as SpyFu or SEM Rush let you see what competitors are bidding on. As with Soovie, there’s no need to spend hours on these sites. But it can be helpful to put in a few competitor names or key terms to see if there’s anything you didn’t think of. Now it’s time to expand your list. 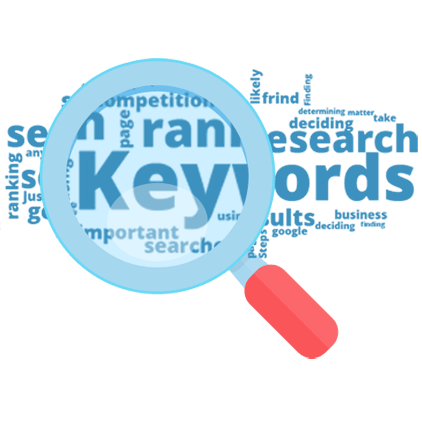 Pop open your favorite keyword research tool and start entering your keywords. 1. Group words by topic. As you start putting in your keywords, you can enter more than one keyword at a time, but keep them topically grouped. For example, if you sell both mustard and ketchup, you can put “mustard” and “Dijon mustard” in at the same time, but put ketchup in separately. 2. Under Match Types, select Exact. You can find a thorough explanation of Google match types here, but basically Exact Match will give you the number of searches for that term and that term only. This is a better and more conservative estimate of the search traffic you might get from a term. 3. Under Advanced Options and Filters, select the language and location you’re interested in. If you want only Spanish speakers from San Francisco, set up the filters that way. The number you see in Local Monthly Searches will reflect searches from people matching your criteria. 4. Set up your columns. Select the columns Competition and Local Monthly Searches. There are columns with other data, including approximate CPC, but I never have found them as useful as these. 5. Check off the keywords that seem interesting; then select Download/My Keyword Ideas. This will produce a spreadsheet of your results. The keyword ideas stay in the left column as you enter more seed terms, so you can just download after you are finished. 1. Keyword Category. If you ended up with 500 audience keywords but only 15 product keywords, you probably can drop some of the less interesting audience terms. Focus on the categories closest to the center of the target. Also, use the categories to understand the intent of the search. In other words, if you sell a B2B financial product, then “financial management” is a potential product term, but “financial management jobs” is an audience term and therefore less interesting. 2. Competition. In the online tool, Google rates keyword competition from Low to High. In your downloaded sheet, they’ll have changed this to a number from 0 to 1, with higher values meaning more competition. Google’s number relates to paid search only. Moz has a tool (available to paid subscribers) that gives a keyword difficulty score for SEO. These tools can help you find words that you might have an easier chance of winning. Don’t spend a lot of time fretting over these numbers, though. You shouldn’t be discouraged from going after more competitive words, just understand that it might be harder. 3. Search Landscape. Enter some of your most important terms into Google (or another search engine) and see what comes up. For example, if you’re doing a campaign for the bath-and-body brand The Body Shop, until you see the search results, you might not realize that “body shop” also refers to cars. Also, if you have a marginal term of ambiguous meaning, it might be worth dropping it off the list. And you can start making a list of potential negative keywords for any off-topic results you see (that is, keywords you don’t want your ads to appear for). 4. Semantic Grouping. As you go through your words, create a column to group them semantically. For example, words like “free website,” “free website creation,” and “free website tool” might be grouped under “free website.” These tightly-connected groups of words can be used later as your PPC ad groups. If you find a group with a large number of words, you might drop some of the ones with a lower search count. Many people want to know how big their keyword list should be. This depends a lot on how big or complex your product or service is, but it doesn’t need to be huge. Unless you are developing a list for a large enterprise, think dozens or hundreds instead of thousands. In PPC, you can use broad match (to capture long-tail terms) and Google’s keyword reports (to add the effective ones to your list). Categorizing your keywords to capture the interest and intent of the searcher can help you develop, refine, and analyze your list. Have you tried something similar? Let me know in the comments. 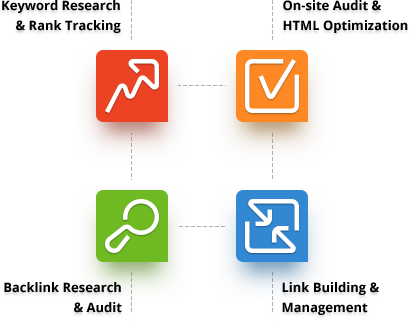 What is Google's thinking about links from article marketing, widgets, etc?